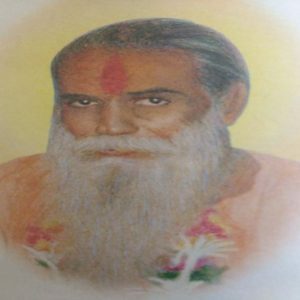 Swami Ramanand Ji Shastri was a Sannyasin, a selfless soul, whose life was dedicated to service to mankind. He came to Mumbai in 1975 from Bihar with a sole purpose to serve the poor. While in Mumbai, he came to Geeta Bhawan, Sunder Nagar in Malad (west) and started Hatha Yoga classes there. Being a sannyasin, he could easily encourage the people to adopt Yoga for a total health. Besides teaching Yoga, Swami Ji also traveled to a lot of rural areas of Maharashtra and arranged eye camps for the poor. He would take a handcart laden with all the required material for treatment of eyes and go to slums to serve the poor without charging for it. During November 1981, Swami Ji organized a Yoga Shibir in Bangur Nagar. A lot of residents of the area participated in the Shibir and it was so successful that they requested Swamiji to organize daily Yoga classes at Bangur Nagar. Swami Ji agreed to it and this lead to start of Yoga classes in the area. Today the same seed, that was sown by Swami Ji, has taken a shape of a huge tree with the name ‘Yoga Niketan’. The Yoga Niketan today has become a prominent place of Yogic activities and thousands of Yoga seekers have benefitted from it. All the knowledge that we have in the field of Yoga, including the knowledge about great Masters in the field like Swami Sivananda, Swami Satyananda, Hath Yogi Nikam Guruji, and so many others, has come to us because of Yoga Niketan. The blessings of Swami Ji continue to be the strength behind all the progress that the Institute could make and also behind the success of all the teachers and members of Yoga Niketan today. Here I seek Swami Ji’s blessings to give me the strength to do some work in the service to society through Yoga. Brilliant effort Vyas ji, whom we fondly call “chhote guruji” at Yoga Niketan. Please keep guiding us on various intricate aspects of yoga through your wonderful site. Regards Sharad R Seksaria from Deora Brothers. thanks a lot Sharad ji. It’s all your love that you have expressed here through this Comment and that’s what my all treasure is. I will sure be putting and sharing here what all I have learnt and experienced.